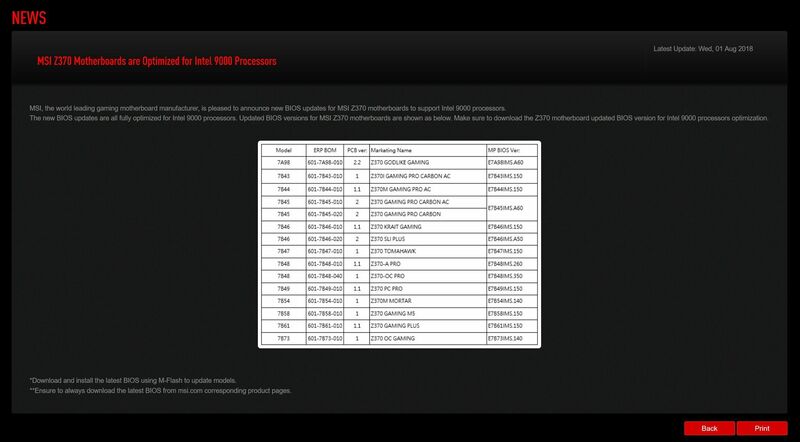 MSI confirmed in a news post on Wednesday that several of its Z370 motherboards are receiving updates to support Intel’s 9000-series processors. But here’s the thing: Intel hasn’t announced any 9000-series processors. Rumors of a 6-core Core i5-9600K, an 8-core Core i7-9700K, and an 8-core Core i9-9900K chip with hyperthreading enabled have run rampant over the past month, and MSI’s slip-up substantiates that something is on the way, though the announcement doesn’t include core counts for Intel’s chips. It’s not the only concrete evidence though: Core i7-9700K benchmarks made an appearance in SiSoftware Sandra’s database. Soon thereafter, a 3DMark Time Spy entry showed an 8-core, 16-thread Intel chip hitting 5GHz speeds and solidly surpassing the 8-core AMD Ryzen 7 2700X’s scores in the test. Intel hasn’t uttered a peep about 9000-series chips, so there’s no official word on when they’ll release anything. The current rumor mill points towards a September launch, however, and it can’t be that far off if MSI published a compatibility update for the chips. At Computex, Intel said that new processors will be available before the end of 2018. We discussed the Intel 9th-gen rumors in the most recent episode of our Full Nerd podcast. Jump to the 37:40 mark in the video embedded below to check it out. Why this matters: If the rumors and leaks hold true, these will be the first 8-core CPUs in Intel’s mainstream consumer lineup. 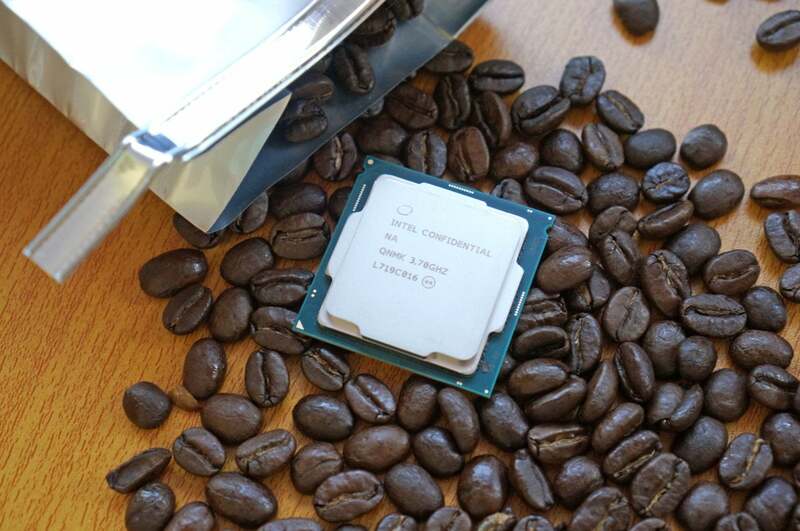 In the wake of 8th-gen “Coffee Lake” chips requiring an upgrade to new motherboards due to power concerns, some people worried that the 9000-series chips would be limited to motherboards using Intel’s upcoming high-end Z390 chipset alone. 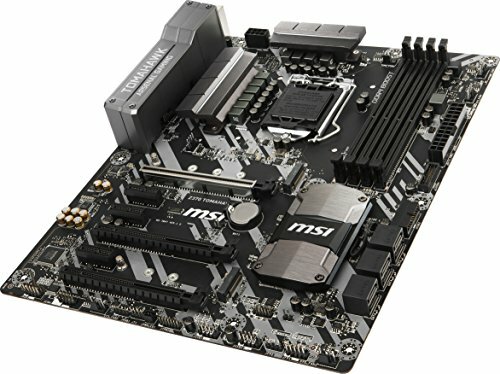 But between this MSI post touting Z370 BIOS updates and a Videocardz leak showing an ASRock H310 motherboard box advertising support for 8-core CPUs, it seems likely that all 8th-gen motherboards were designed from the ground up to support the increased power demands that extra cores bring—even if those cores indeed hit 5GHz like the 6-core Core i7-8086K. But there’s a reason we don’t cover speculation often: While MSI’s post and the pair of leaked benchmarks lend credence to the recent flurry of Core i7-9700K and Core i9-9900K rumors, nothing’s official until Intel makes formal product announcements.